Tewari founded YKA when he was 17 with the aim of creating a space where young people could write and speak about issues that were important to them. A decade into the journey, YKA is India’s largest, locally-grown citizen media platform with more than four million readers every month, and thousands of citizen scribes writing on topics varying from politics to culture to the state of the economy. YKA runs campaigns on issues of national importance. The ones that have found most resonance are its “Campus Watch” stories, a mouthpiece for students across India to highlight transgressions and injustices on their college campuses. In 2015, the Pinjra Tod (or “Break the Cage”) campaign, led by female students from Delhi University, leveraged the YKA platform to demand that the curfew for women’s hostels be relaxed. YKA provided an early and crucial platform to facilitate this conversation about women’s safety and limits to their freedom. With this springboard, young women spear-headed this campaign across the country. They drew the attention of major women’s rights groups and the State Commissions for Women, which directed college authorities to reduce curfews and establish a more gender-equal environment on campus. These wins are now commonplace for YKA and its readership. But ten years ago, when Tewari was still a teenager and just getting started, this kind of keen and impactful local reporting was missing. The more he read mainstream news, the more he realized what a huge gap he had tapped into. The perspective of youth was largely missing from the news, and information flowed to them instead of both ways. As this was dawning on Tewari, so was the Internet revolution in India. With prodding from brother, he started a blog in school. While his family had always encouraged sharing of opinions and had an avid interest in current affairs, the Internet’s power to connect with others and spread ideas unleashed Tewari’s inner changemaker. But he was dismayed that his enthusiasm and expression for discussion seemed lacking among his peers. Cultural taboos imposed on young people surrounding discussions about sexuality, discrimination, and other important social issues hindered open dialogue. “There was a culture of silence pushing an entire generation away from changemaking,” Tewari said. 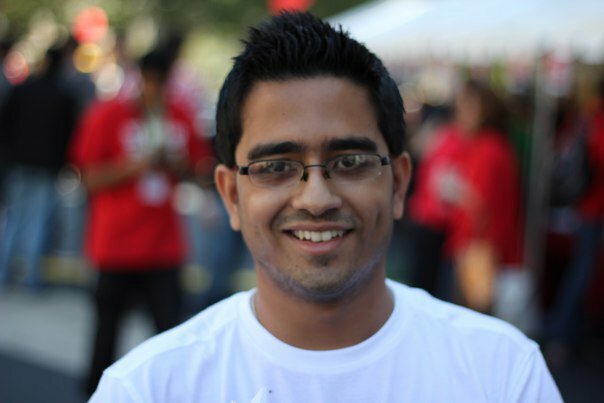 Tewari developed YKA in high school and then continued building the platform as a student of journalism in college. There, he connected with classmates who shared his interests in social media and dialogue promotion, and he formed a small team of volunteers and content creators who helped YKA get off the ground. Soon, YKA had a devoted support network of 15 volunteers editing user-generated content and producing stories for readers. By his early 20s, Tewari was devoting most of his time to scaling up YKA. He sought to develop a financially sustainable strategy to scale up the organization, while also preserving its mission of sharing opinions and facilitating dialogue. He knew that opening up the platform to advertisers would open the door to very same cultural biases and discriminatory practices that YKA sought to erase. For example, many ads in the region portray pale-skinned models as the go-to standard for beauty, whereas YKA’s writers wrote extensively on the virtues of loving one’s own natural skin color. Instead, Tewari created a dynamic business model that generates revenue through offline events and non-profit sponsorship. This strategy enabled him to scale up the platform as a business while retaining its social ethos. Today, at the age of 26, Tewari — now an Ashoka Fellow — runs a flourishing media platform with more than 30 full-time staff members.